Tracking the engagement of potential customers on a website has become second nature to most marketers. Even a relative novice to online marketing understands the fundamentals: time on page, conversions, shares, scroll depth, etc. But, it’s important for marketers to go beyond the basics. One of the issues, or areas of misunderstanding, that we often come across is the lack of consideration of the pathway that a consumer will follow in the earlier practice of email marketing. There is a process that most follow as they engage with the email messages that crop up consistently in their inboxes on a daily basis (if, that is, those emails aren’t stopped at a firewall or relegated to a junk mail folder). In a recent blog post we discussed the great potential inherent in the oft-overlooked marketing strategy of direct mail. We discussed how direct mail has a more personal feeling and how it can grab the recipient’s attention more effectively than an email, which may be ignored or filtered into junk mail or spam folders. Hopefully we converted some skeptics. As smartphones have become increasingly common and many—particularly the millennial generation—have turned to texting as their go-to method of communication, some have questioned the future of email as a means of communication in both personal and professional settings. I was asked recently by a reporter what I felt the future of email is and, particularly, how we are likely to use email in 2015. Will email go away? Will it remain relevant? These are very much the same questions that have been asked of other forms of communication: Will email replace “snail mail”? Will online chat replace phone calls? “Yes” and “yes” in some cases. 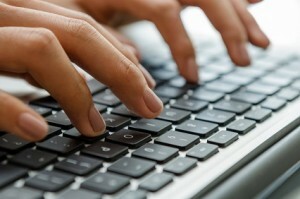 10 Copywriting Tips to Generate Results! I’m a copywriter from way back and, although, my life has taken a number of twists and turns since my old copywriting days, writing has been a passion of mine for many, many years and I don’t see that changing anytime soon. The thing is, much of what I learned as a professional copywriter holds true regardless of the type of writing I do: whether I’m writing a brochure, copy for a newspaper ad, a script for a radio announcement or a page or blog for a web site, there are some tried and true techniques that can be used to boost the odds that the copy will get the results I’m looking for.